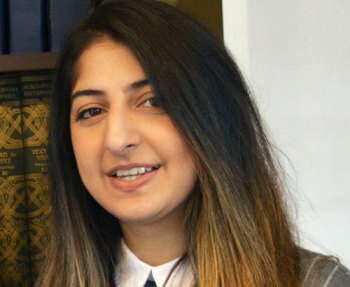 Sonia Chandi of Huntington, West Virginia, a Yeager Scholar and graduate of Marshall University’s Honors College, has been awarded a fellowship worth $5,000 by the Honor Society of Phi Kappa Phi. Phi Kappa Phi is the nation’s oldest and most selective collegiate honor society for all academic disciplines. Chandi is one of 57 recipients nationwide to receive a Phi Kappa Phi fellowship. She received a bachelor’s degree in biological sciences from Marshall. As a Phi Kappa Phi fellow, Chandi will pursue an M.D. at the West Virginia University School of Medicine. The selection process for a fellowship is based on the applicant’s evidence of graduate potential; undergraduate academic achievement; service and leadership experience; letters of recommendation; personal statement of educational perspective and career goals; and acceptance in an approved graduate or professional program. Phi Kappa Phi fellowships are part of the society’s robust award programs, which give $1.4 million each biennium to outstanding students and members through study abroad grants; graduate fellowships; funding for post-baccalaureate development; member and chapter awards; and grants for local, national and international literacy initiatives. To learn more about the Phi Kappa Phi fellowship, please visit www.phikappaphi.org/fellowship. For more information about Phi Kappa Phi at Marshall University, visit www.marshall.edu/phikappaphi/.